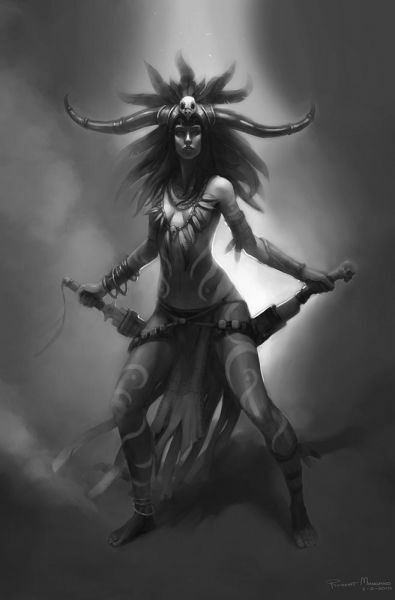 Female Witchdoctor Fan Art by Robert Mangano from the blizzard fan art page here. This is a lovely piece of the Witch Doctor in my humble opinion. Had it been colour, it would have been a 10/10! Visit my my Wiki Profile btw!